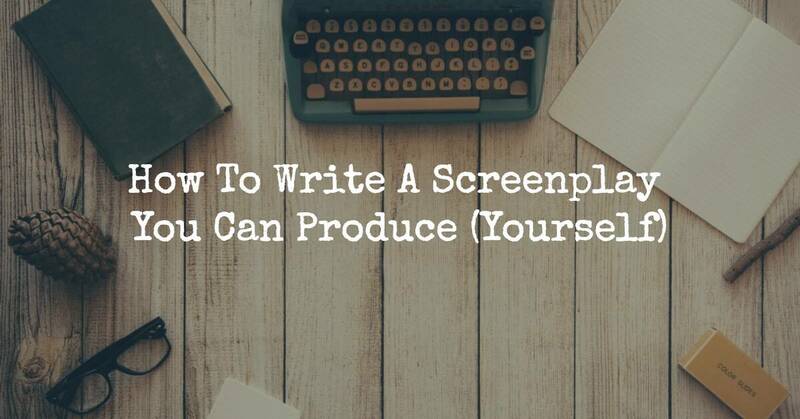 If you’re trying to figure out how to write a screenplay you can produce yourself, you’re not alone. Prior to making my own movies, I worked for a producer in NYC. And I want to take a moment and apologize for never responding to your query letters. I have no excuse for it, other than I was busy paying my dues. Listen. If you you want to write a screenplay, I’m going to tell you a secret. There is no better feeling in the world than the day you stop sending query letters and instead, you start producing your own work. For years and years, you have dreamed about seeing your work on the big screen. You know you’re good. So why ask for permission? Setting out to write a screenplay that you intend to produce yourself can be a scary transition. So I want to provide you with five tactics to make your journey from Screenwriter to super-hyphenate a little easier. Have a well defined logline. Seriously. Most first time writer director types settle for a simple character driven story. But the story is always confusing. So here is the test, if you can’t explain your story with a logline, something is off. Fix the logline now. You’ll need it for your marketing later. Everything in your screenplay costs money. So if your passion project is too expensive, write something based on locations in your neighborhood. Your true genius will come from your ability to tell a compelling story, not by how many expensive Special FX you can pack into your movie. Ice, Snow, Rain, Sun, dogs, lighting bolts and children have always been a challenge to predict. If you include any of these elements in your story, I guarantee that setups that should only take minutes will take days. Avoid these elements if possible. Hire a GREAT First Assistant Director. Not some film school kid either. Pay the money. Build a relationship. The First AD will be the general of your production. They will build off the Production Manager’s budget and schedule the movie. The 1st AD keeps the production on time. These steps will provide you with a good starting point. Once you have your script, PM and your 1st AD, you will find that your project will start to gain momentum. Finish your feature and people will start sending you query letters. I guarantee it. And if you’d like more info about the filmmaking process, make sure you grab this filmmaker checklist.